What is an equestrian airbag and how does it work? Vests are equipped with an airbag to protect equestrian against injuries upon impact. Airbag vest have two anchoring cables and a CO2 cartridge. One of these anchoring cables needs to be connected to the saddle and remains there. 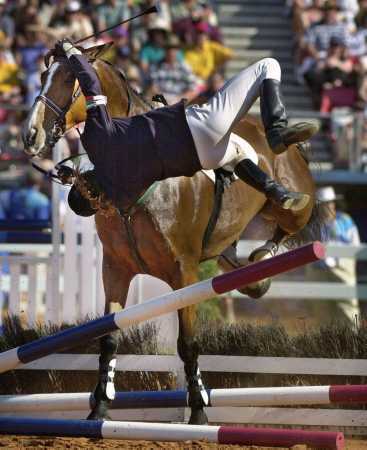 In the event of an accident, when the equestrian falls off the horse the cable will separate from the saddle activating the CO2 cartridge to instantly inflate the vest in approximately 100 to 300 milliseconds. The vest provides extra protection to the most vulnerable parts of the body (the spine, neck, ribs etc.). The airbag vest is a long-standing Hungarian invention. It was officially registered in 1976, published in 1977. Inventor: Tamás Straub. You can look at the original documents of the invention here. Copies are available from the Hungarian Patent Office (Hungarian Intellectual Property Office) anytime. Emily needs a new horse riding safety vest. Even though she is training dressage the problem is that her horse is extremely lazy and he has started to buck when he’s excited or when she’s getting at him or when he doesn’t want to work anymore. Like most riders Emily thinks her vest is restrictive and of course being a teenage the word ugly are said a lot. Like most teenagers she has the braveness of a lion and thinks she can handle everything. Laura Collett says she owes her life to a hi-tech air jacket after a heavy fall which left the British event rider with spine, shoulder and rib fractures. The 23-year-old was in a coma for six days, but wants to resume riding and represent Team GB at the 2016 Olympics. "Paramedics said the air jacket I was wearing [which inflates much like a car air bag] probably saved my life," Wiltshire-based Collett told BBC Sport. Collett fell from Tis A Beauty at Tweseldown, Hampshire on 8 July. 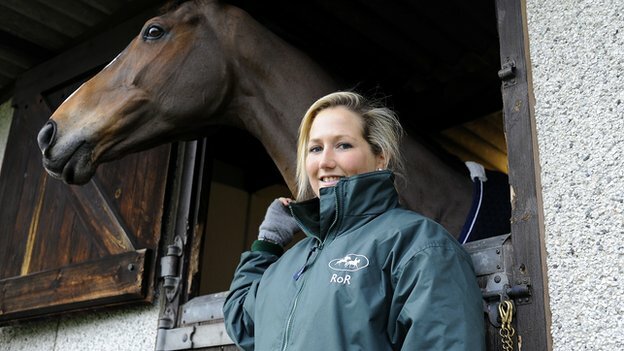 The rider, who has also been retraining top racehorse Kauto Star in dressage, suffered crush injuries to her lungs and liver after falling from the seven-year-old mare and was taken to the intensive care unit at Southampton General Hospital. But she is now out of hospital and well enough to speak at length about her close escape. 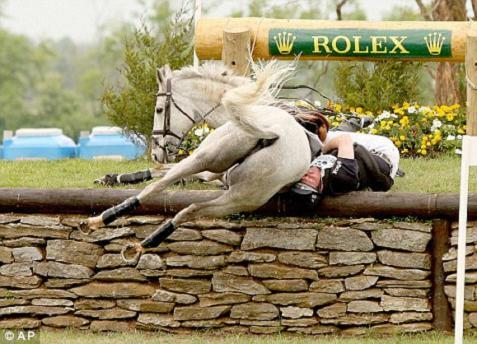 "Any horse falling on you is a pretty serious thing. To come away with hopefully no serious injuries is pretty lucky really. The horse was a bit stiff but she's fine apart from that. I've been up to the yard and seen all the horses," she said. "There's nothing really that can't be fixed. I've got a few fractures, but they are all on the mend. Hopefully, it won't be too long. The plan is to get back to normal, and get back to eventing as soon as I can." The lightweight air jacket, which is now used by many riders in eventing, is designed to inflate after a fall and offer a cushion to the neck, spine and body. Why You Should Consider an Airbag Vest? A horse rider is often faced with a dilemma. While on the one hand they adore riding their steed, on the other it is a very dangerous pastime. In the past even a minor crash or hard landing could cause a major physical health issue. Severe injury and death were quite common from such an occurrence. An equestrian airbag vest is a device that works via a lanyard and CO2 cartridges to create an incredibly fast inflatable cushion around the rider if they are jerked suddenly off of their mount. These devices generally take around twenty-five to thirty pounds of force to deploy so they do not false deploy often. These devices function to protect the neck, spine, and major organs in the torso. When combined with a proper equestrian helmet they offer the greatest protection available to a rider. Most function swiftly and deploy within a half a second or less once the lanyard is pulled with sufficient force. The typical equestrian airbag vest will be re-inflatable. This means that after a thorough safety inspection the only thing necessary for it to function properly again if it is not damaged is another CO2 cartridge. Anyone that is serious about riding safely will want to wear one of these types of safety gear. Due to how useful they are they might eventually become mandatory pieces of equipment in many parts of the world just like a properly approved equestrian helmet is. every year if airbag vest would be used all over the world.